(VEN) - A number of deals and share transfers of old and new projects among major domestic and foreign investors, both in public and private healthcare, have generated strong investment flows into the health sector. These are enabling implementation of the government’s goal of diversifying healthcare investment sources. 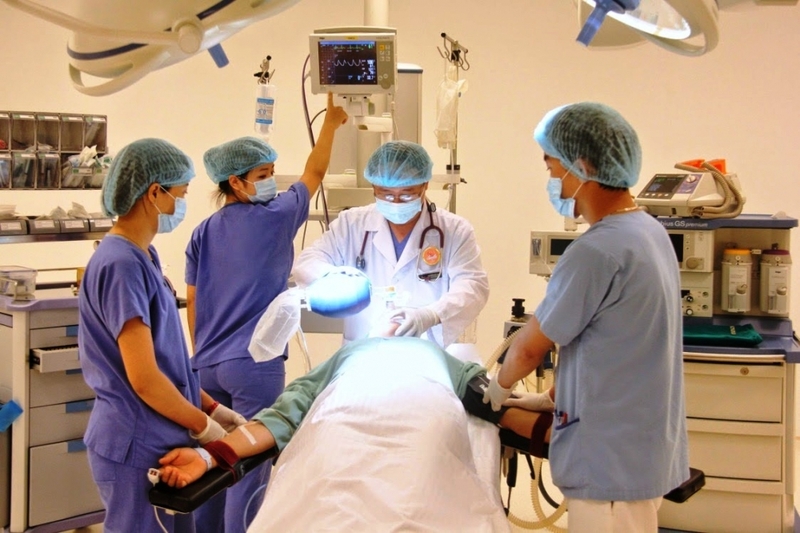 Recently, the Ho Chi Minh City Finance and Investment State-owned Company (HFIC), District 2 Hospital and the Y Dao Medical Service Consulting Investment Corporation concluded an agreement on building a 100-bed state-of-the-art examination and treatment wing at the District 2 Hospital, at a total cost of VND320 billion. In addition, in April 2017 the Ho Chi Minh City People’s Committee also approved a trial project in District 3, allowing the Viet Anh Health Joint Stock Company to open the DHA Clinic in the Ward 11 Health Station. DHA is expected to set up more than 10 similar points in districts across the city. Prior to that, the Ho Chi Minh City People’s Committee had also adopted several public-private partnership (PPP) projects, including seven municipal and district hospital projects, such as building a health treatment service area at the Nguyen Tri Phuong Hospital, a new hospital in District 5 and the Sai Gon General Hospital. There are five other PPP projects, including one in cooperation between People’s Hospital 115 and the Hoa Lam International Hospital Company Ltd to support human resources recruitment and training for the Hoa Lam International Hospital. Other projects are a PPP between the Hong Duc Hospital and the Cancer Hospital and a PPP between Children’s Hospital 1 and the Trieu An Hospital for child health examination and treatment from 2016-2018. Foreign capital funds have also channeled capital into private hospitals. Quadria Capital, an Asian private capital investor, recently announced an investment in the Franco-Vietnamese Hospital (FV) to help FV develop into an international-standard health service center. The investment plan calls for prioritizing key medical departments and developing a network of general clinics in central and southern provinces in order to reduce overloading at clinics in the center of Ho Chi Minh City. Last year VinaCapital’s Vietnam Opportunity Fund Ltd. (VOF) announced that it owned 75 percent of shares of the Thai Hoa International Hospital in Dong Thap Province. According to Angela Chang, Executive Director of the Service Industry Promotion Center of the Taiwan External Trade Development Council (TAITRA), Chinese Taipei will invest in health services in southeast Asian countries, particularly Vietnam. So far, the Shing Mark Group has built a hospital on 87,000sq.m in Dong Nai Province at an initial cost of more than VND6.4 trillion, including 1,500 beds in a nine-storey building. Of these, 150 beds are scheduled to be available this month. Vietnam is attracting growing investment in the health sector, reflecting government policy of diversifying healthcare investment sources and raising health spending to 5.8 percent of the gross domestic product (GDP), the highest in ASEAN.